Holiday meals can be a real threat. We aren’t talking about the threat that heavy meals bring to your health, but rather to the health of your plumbing system and your home. One of the most frequent plumbing repair calls we receive during this time of the year is about kitchen sink clogs. There are a number of potential reasons this might happen. Certain food items, for instance, get put down your drain that should never be there to begin with, even if there is a fully functional garbage disposal system in place. This includes foodstuff like corn husks, celery stalks, hard food such as fruit pits, and potato skins. These should all be disposed of in your trash can, rather than in your kitchen sink. Another common enemy to your kitchen sink is Fats, Oils, and Grease, otherwise known as FOG. What happens is that FOG hardens up and congeals as it cools down. So even if your sink doesn’t clog up right away due to FOG, the continuous disposal of FOG down your drain will eventually add up to create a huge, messy blockage, that could have been avoided. Lastly, you should avoid putting any foods down your kitchen sink drain that expands with water. This means beans, rice, pasta, bread, and even coffee grounds should stay away. These food items are virtually sponges, and when they are saturated with water, they can easily clog up the drain. 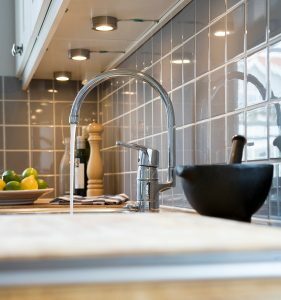 Kitchens may be the most prone to holiday plumbing emergencies, but this isn’t the only area of your home to be concerned with. Your bathroom deserves some attention too. Certain things can happen when you have a lot of guests going in and out of your home—like people flushing trash down the toilet or kids using too much toilet paper –or, even knocking something into the toilet. Your hot water can run out due to increased demand, too. This doesn’t usually equate as an “emergency” but is still a common holiday plumbing problem to be wary of, especially since your water heater is threatened during this time of year. That’s because the cold air that comes along with winter can cause expansion and contraction of your water heater tank, which in an older system could very well cause fractures and leaks. In severe instances, it can lead to flooding. The best way to avoid this plumbing woe? Schedule water heater maintenance once a year.